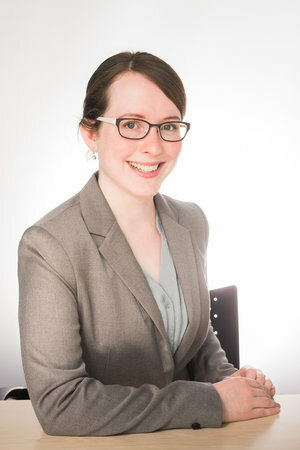 Lucy is a senior consultant at NNFCC, working on a number of EU and commercial projects. Her main focus is on the Interreg NWE project BioBase4SME, supporting SMEs in the bioeconomy obtain funding for technical and business services. She ​is also working on the Horizon 2020 project DAFIA, developing business strategies to valorise fish waste, aimed at producing high value products, including flame-retardant polyamides. Lucy has a background in industrial biotechnology and anaerobic digestion. She studied biotechnology at the University of Edinburgh and, after working at the biotech start-up Ingenza, went on to do a masters degree in biochemical engineering at University College London. Lucy carried out a PhD in Austria at the University of Natural Resources and Life Sciences Vienna (BOKU). Her PhD research ​investigated the effect of enzyme additives on the viscosity of lignocellulosic-rich AD sludge. After her PhD, Lucy worked as a staff scientist for the Austrian Centre for Industrial Biotechnology (acib GmbH) on C1 gas fermentation with immobilised bacteria. Lucy works on the project BioBase4SME which provides innovation vouchers for technical and business services to SMEs in North-West Europe. This project is funded by Interreg North-West Europe, for 3 years 2016-2019. Within the project, NNFCC offers market landscape reviews as well as strategic market reviews covering political, economic, social, technological, legal and environmental (PESTLE) considerations. NNFCC also looks at new developments on the horizon that could represent threats or opportunities for technical developments of SMEs. Lucy is a key contributor to the exploitation strategy and business plans in the 4-year Horizon 2020 project DAFIA. The project investigates valorising residues from the fish processing industry and biodegradable household waste to make food coatings and packaging, bio-based flame retardants and bio-based polyamide. DAFIA consists of 15 partners from the EU, Norway, Israel and Turkey and includes large industrial partners as well as SMEs and research institutes.